Before the M5 sapped the area of its thoroughfare traffic, Beverly Hills was once a cutthroat restaurant circuit. Culinary competition was fierce, with even the road’s primary supermarket eventually converted into yet another restaurant. 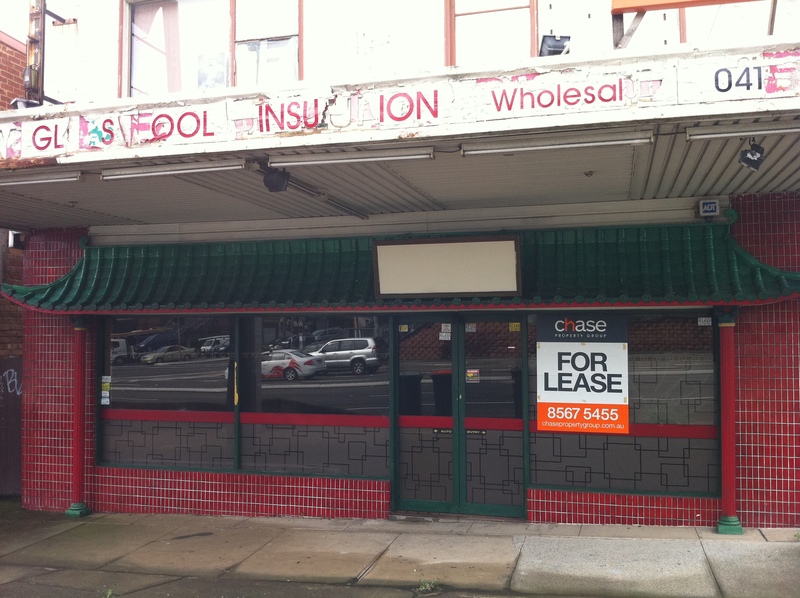 The strip along King Georges Road is still home to a surprisingly wide variety of cuisines for south-west Sydney, but the glory days are certainly behind it. That’s a Ming Dynasty automatic door. Chinese restaurants are well represented on the strip, so it’s no surprise to see a corpse of a fallen rival rotting on the sidelines. The Four Seasons Chinese Restaurant, on the corner of King Georges and Stoney Creek roads, has the distinction of having maintained its chintzy Oriental decor even through its time as a “GL S FOOL INSU ION Wholesal” establishment. 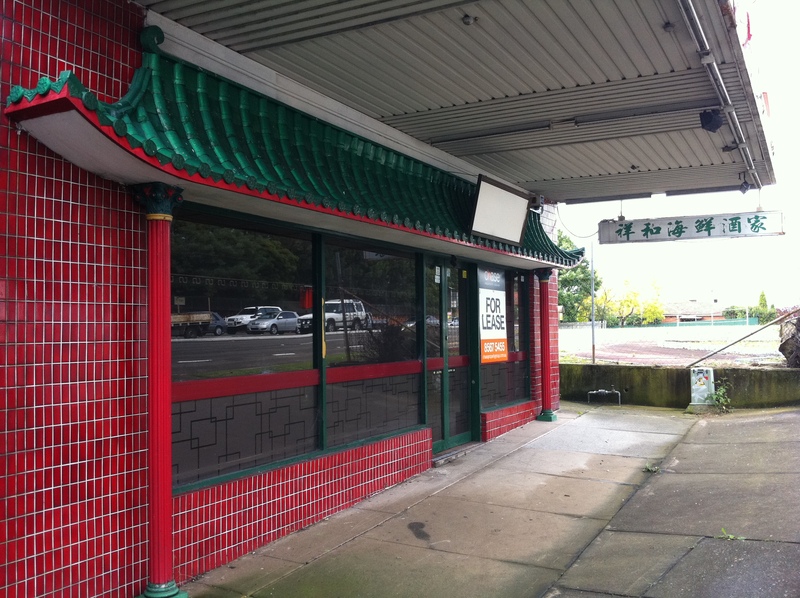 The facade is in surprisingly good condition, but the restaurant itself is empty. 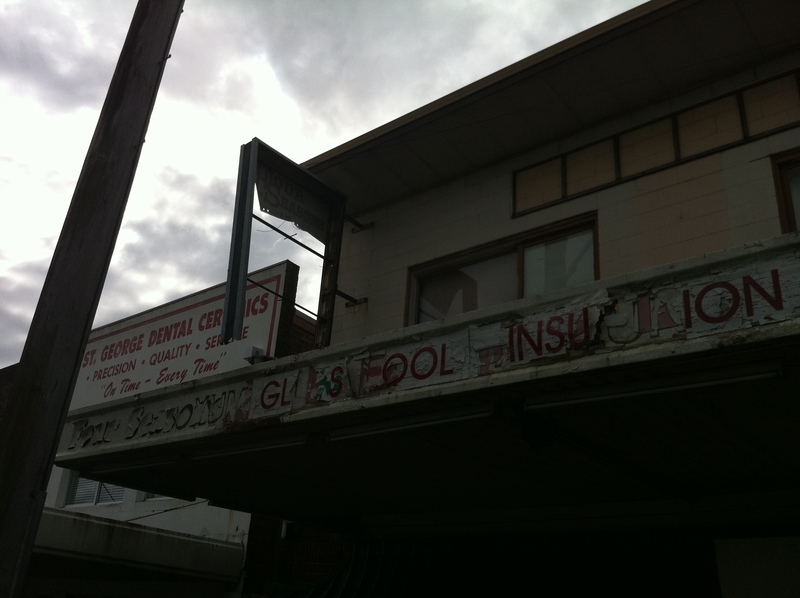 The signage is pretty tattered, none moreso than the light-up sign above the shopfront. Despite the restaurant’s outwardly ramshackle appearance, we can at least take comfort in the fact the building must be well insulated. Big John. That’s the big reveal. 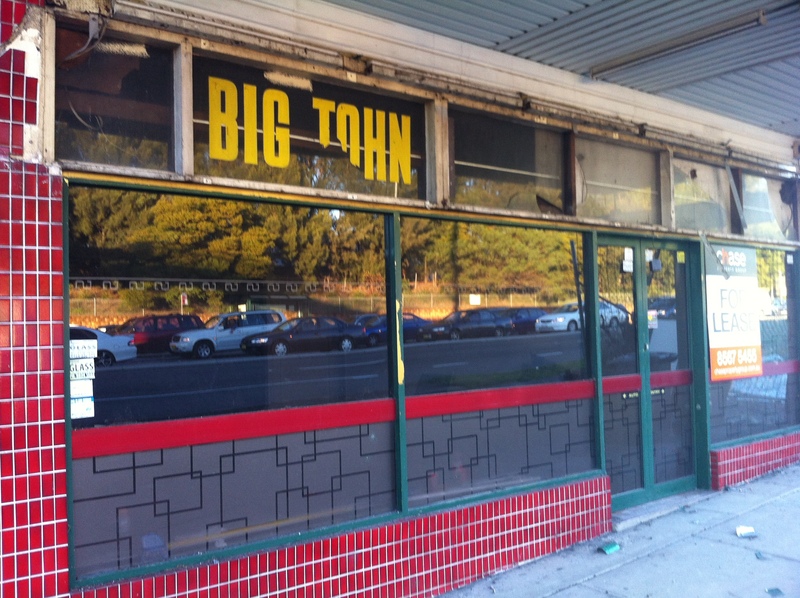 Once upon a time, Big John either owned or operated out of this place, and the only way they could hide his involvement (and why should they want to do that, hmm?) was by covering him up. But now he’s back, and the secret is out. If you ARE Big John, get in touch. Big Johns was a whitegoods store – that is the first use I can remember. 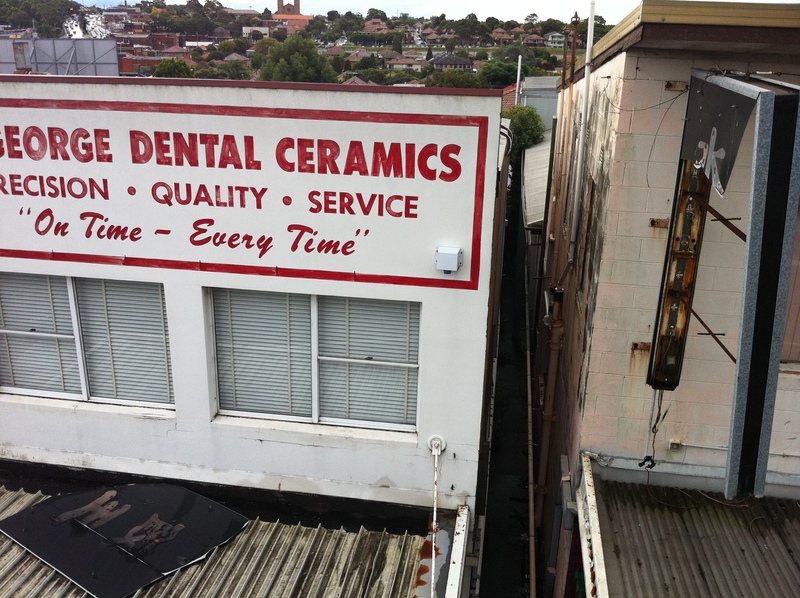 It may have been purpose built for this? I believe this was the “Delight Dim Sim” Chinese resturant. Big Johns was a furniture warehouse. I went there with my grandmother in the mid 70s. I recall her mentioning that it was owned by a league player. Could it possibly be John Cootes? I also remember when Big Johns was a whitegoods and furniture store. I am not sure if they were related to ‘John Finn the Discount King’, who had very similar stores in Strathfield in the 1970s. 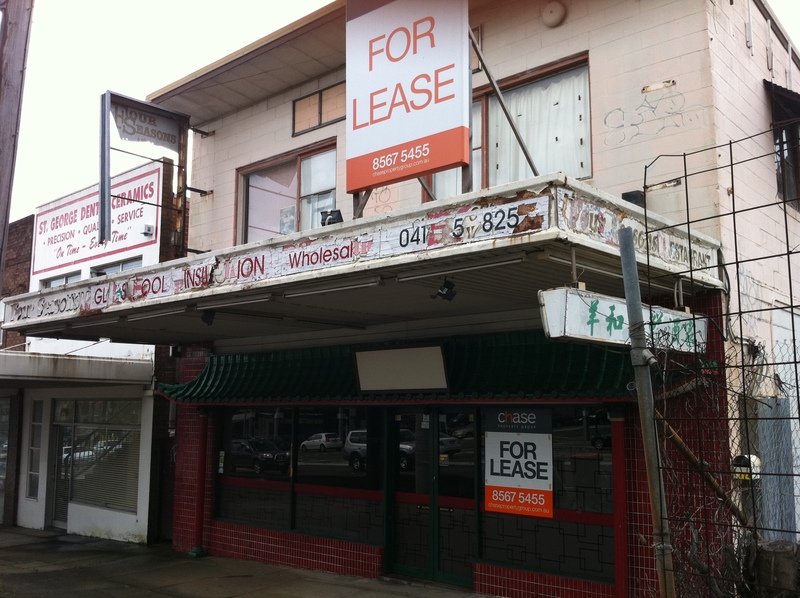 You can still see a ‘John Finn Discounts’ sign on the building above the post office on the Hume Hwy at South Strathfield (opposite the now demolished Spanish Inn Motel). I wish I could post a photo.